Praghosa dasa: We are often asked by devotees who are preaching in the UK about the steps required to become an official ISKCON centre. This question is of course a source of great inspiration to us as it would be glorious to have an ISKCON centre in every town and village of the UK! Therefore this GBC National Office paper seeks to offer some clarity regarding this subject to all those devotees wishing to establish an ISKCON centre in the UK. Srila Prabhupada wanted everyone to both take up the process of Krishna consciousness and once they were well situated in their spiritual practices, to assist with encouraging others to take up spiritual life. Sanga is a key element of such encouragement and often for sangas to be stable there is a need for a permanent location to congregate. 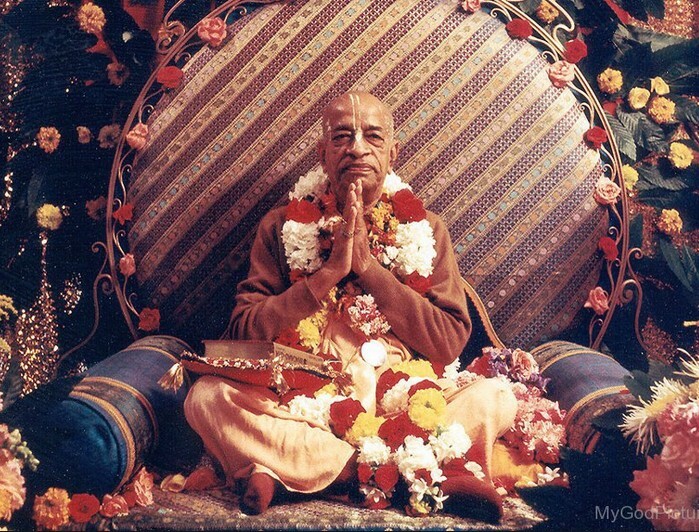 Srila Prabhupada set this example himself and had established in excess of 100 permanent ISKCON locations around the world before he left this world in 1977. As well as setting the precedent of opening centres Srila Prabhupada very much stressed two additional precedents. One being to ensure that the running of any given centre was first class, both in terms of the presentation of Krishna consciousness, as well as the administration. The other precedent, which ties in with good administration, was that the closing of a centre was to be an absolute last resort. With that in mind the following are important directives related to the initial opening and running of an ISKCON centre as well as progressing to establishing any given centre as a separate legal entity with its own charitable status. Typically a sanga will work under the tutelage of an existing established ISKCON centre for sometime before striking out on their own and being fully responsible for all aspects of running their centre. Once both parties agree the time has come to strike out then the following procedure will begin. 1. An application will be made to the Management Council. 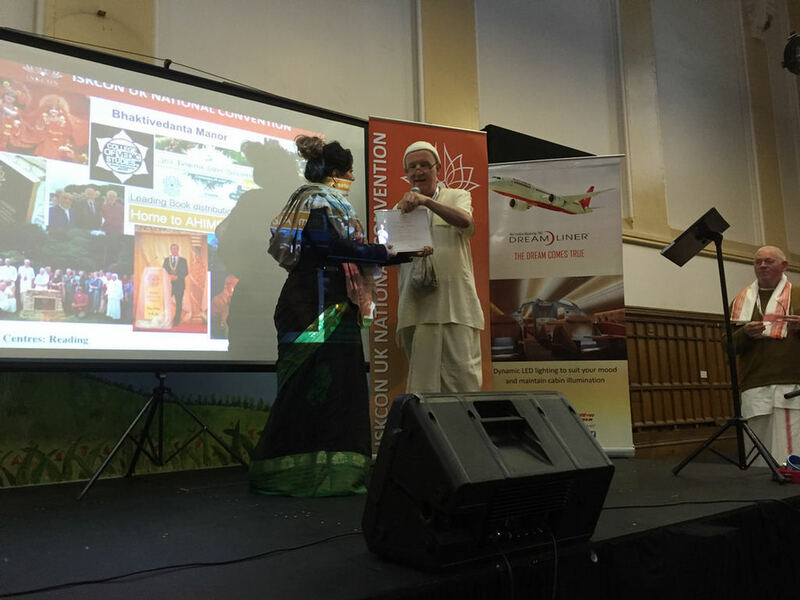 A centre whose application has been approved by the UK management council will be accepted as an authorised ISKCON centre, representing the Society in that capacity and enjoying the privileges afforded to such a centre. a. Where a building is owned or rented, it shall be in the name of ISKCON. b. All funds collected shall go through an authorised ISKCON account, and the centre shall be financially accountable to the GBC national office. d. The Centre shall only hold ISKCON approved programmes. 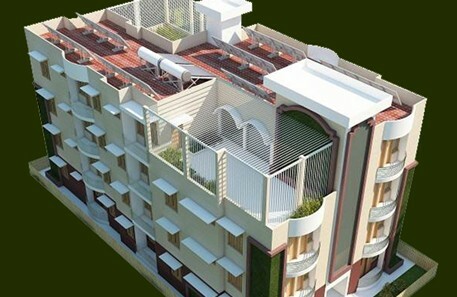 An ISKCON Real Property is a real property owned by an ISKCON affiliate, or held for the exclusive and perpetual benefit of one or more ISKCON affiliates; or buildings owned on land which is contractually under the exclusive control of an ISKCON affiliate for a total period of minimum fifty (50) years. For the purpose of property related laws, an ISKCON property with Deities is a property on which there is a Deity which has been either formally installed, or publicly worshiped according to the ISKCON standard for formally installed Deities as per the ISKCON Deity Ministry. All temples must make arrangements for the protection of installed Deities. This is to include adequate protection during darsana times when the curtain and doors are open. Locking iron gates are recommended. hospitality of at least prasadam to people who visit. Activities like prasadam distribution, restaurants, temple stores, book distribution or soliciting of donations with devotional paraphernalia, are carried out as part of our missionary activities. As long as these activities are not of a primarily commercial nature, are not for the benefit of individuals, are not in violation of local law, and do not endanger the ISKCON entity with unnecessary liability, they may be conducted by the ISKCON entity directly. If the activities develop such that the primary focus is profit rather than preaching, such that local laws would be violated by the non-profit ISKCON entity, or such that unnecessary liability is risked, then they must be legally separated. There must be at least two joint signers on all temple bank accounts. The joint signers must not be related in any way. Whenever there is a change of management in a temple, the new management shall accept all existing debts to the BBT. The right to purchase books wholesale from the BBT. Inclusion of the centre’s address and phone number in all ISKCON publications. The right to advertise in all ISKCON publications. The use of ISKCON’s name and charitable status for fund-raising, and for tax rate benefits. The use of other ISKCON slogans, symbols and copyrighted material (with BBT permission where necessary). The Temple President may veto any decision made by the Temple Council, except certain financial ones. [cf. Bye-Law 8.D.6] If a Temple President disputes a Temple Council’s monetary decision, they may appeal to the Management Council. If a Temple Council objects to a veto made by the Temple President, it may appeal to the Management Council. The decision of the Management Council will be final. A Temple President shall be accessible to all members of his/her community, either directly or through the members of the Temple Council. A Temple President shall not make a decision to spend more than £1,000 [One thousand British pounds] without the agreement of the Temple Council. A Temple President should be familiar with some aspects of the GBC law book, in particular chapters on members, Deity worship, book distribution, devotee welfare and fund raising. All income and expenditure shall be receipted. Cash income shall be verified by an independent third party who signs the relevant voucher. An annual budgeted cash flow forecast for each year shall be submitted to the National Office to be received no later than 1st December of the previous year. A trial balance for the end of each year shall be sent to the National Office to be received no later than 1st March of the following year. All nominal headings shall be standardized with the National Office nominal ledger. Quarterly VAT returns must be sent to the National Office (where applicable), to be received no later than the 20th day of the month following the relevant quarter. (a) Monthly cash flow analysis of income and expenditure and reconciliation with bank. (c) Monthly reconciliation of creditors control account. All PAYE records shall be kept accurately and up to date. The Inland Revenue shall be paid on time. Date of purchase, name of supplier, description of goods, cost price and net book value at each accounting year end. All financial reports shall be signed by the respective temple presidents before being sent to the National Office. 1. ISKCON is the entire movement with all its members, groups and branch charities. (e) Someone who practises Krishna bhakti as taught by Srila Prabhupada. different reasons, there is sometimes a tendency for groups to identify as being something other than ISKCON, imagining that the term ISKCON only applies to the temples or, in the UK, the registered charity. 4. This can cause organisational confusion which over the long-term leads to weakness. any publicity about ‘Hare Krishna’ reflects on ISKCON. organisation and the prime manifestation of our growth. that is outside the auspices of ISKCON UK and its regional divisions. population in the small groups anywhere between 360 – 900 persons. From the beginning, ISKCON preachers encourage a sense of identity and belonging with our newest members by using terms such as ‘member of ISKCON,’ ‘ISKCON member,’ ‘ISKCON movement,’ ‘ISKCON UK,’ and so on. Print advertising such as posters and flyers can be done in the locally adopted name such as ‘Hare Krishna Sheffield’ or ‘Bhakti-Yoga Milton Keynes’ but must also be accompanied by the ISKCON name and founder-acarya name etc. Fund-raising for the group can be done under the local name, and a bank account started in that name. When a group wishes to purchase a property they can do so with a chosen minimum of members giving a standing order. Standing orders must be made out to the nearest ISKCON branch charity which will keep a record of all monies submitted. Minimum officers of a group of this standing must include a named organisational leader who must be an ‘ISKCON Member’, a treasurer and a secretary. The ISKCON UK Council of Management, completely at their discretion, may offer a loan to help with the establishment of the new property. However, this is not an obligation on their part and should not be expected by any group. requirements of a branch charity should apply.